Thanks for visiting! 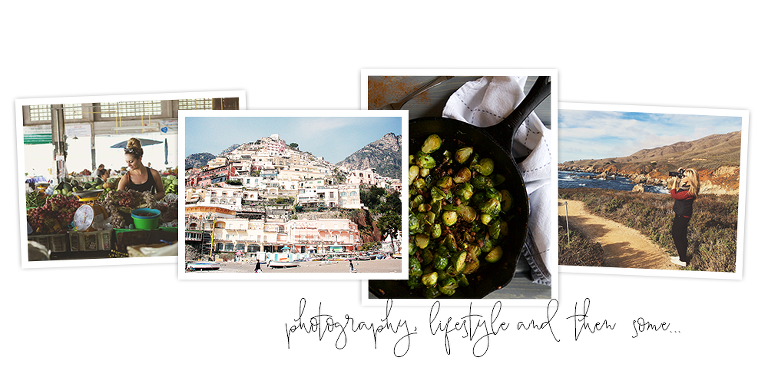 Here, you’ll find a little bit of everything – from my favorite recipes, to my personal travel blogs. Feel free to share, pin, comment and follow along as I share with you all of my favorite things. Cheers! I had high hopes for apple recipes this fall, guys. HIGH hopes. This was going to be the year that I finally attempted a pie, a tart or even an easy apple crisp for fall. (For those who are new here….I’m not much of a baker). Well, it’s mid October and that just might not happen. BUT….and this is a big but……I DID default to my happy place and came up with something possibly even better than dessert. Ladies (and gentlemen? 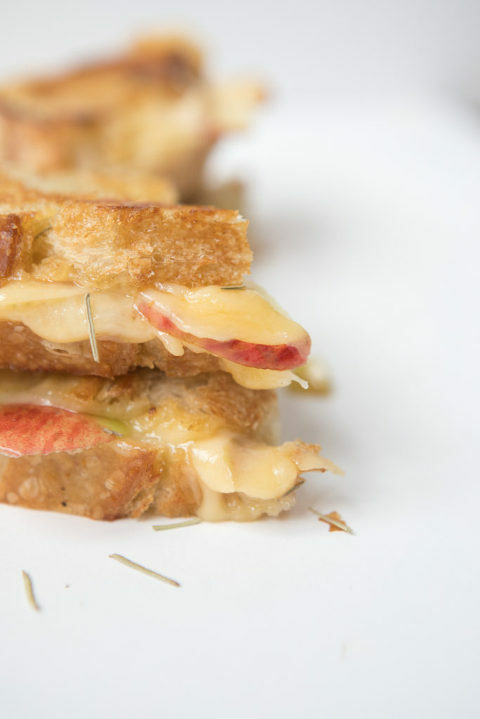 )….I give you an Apple and Gouda Panini with Rosemary. 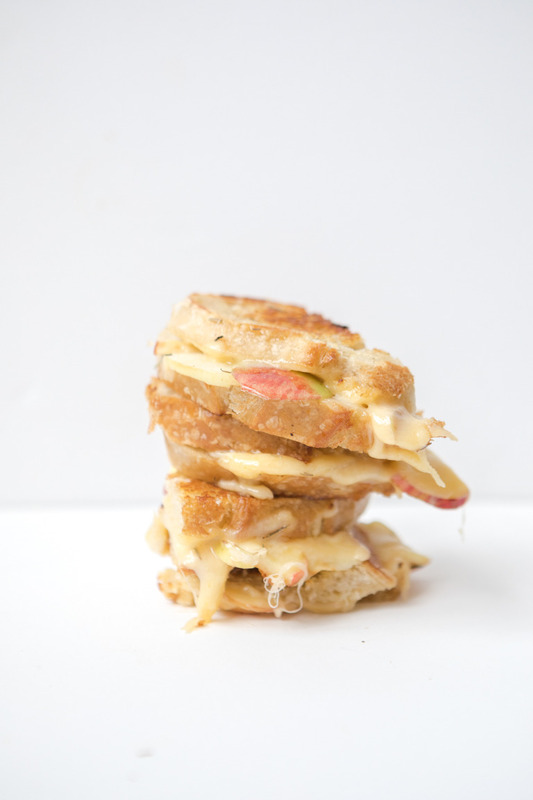 Think layers of smokey gouda cheese paired with sweet apples on a crispy piece of sourdough bread, buttered to golden heaven. I’ll give you a second to wipe the drool from your chin. Every year, I get way too caught up in busy wedding and portrait season to ever enjoy fall. And it’s my favorite season!! Can you believe I haven’t been pumpkin picking or to any fall farm of any kind since I was a kid???! I know….I’ve been missing out. So I made it my fall goal this year to plan a date with my sister in law (like 2 months in advance) to head up to Wisconsin with the hubby to see our nephew and go to a farm for all of the traditional fall cliché’s…….apple picking, pumpkin picking (like the real kind where you actually get driven out to the field and have to pull the pumpkin off the vines!) hayrides, and my favorite part- the market purchases. Apple butter and caramel for dayyyyyys please. :) I came home with a basket full of delicious apples of all kinds and couldn’t wait to dabble into some apple cooking! It tastes like fall here in the Meghan Leigh kitchen and I hope you like what I came up with!! 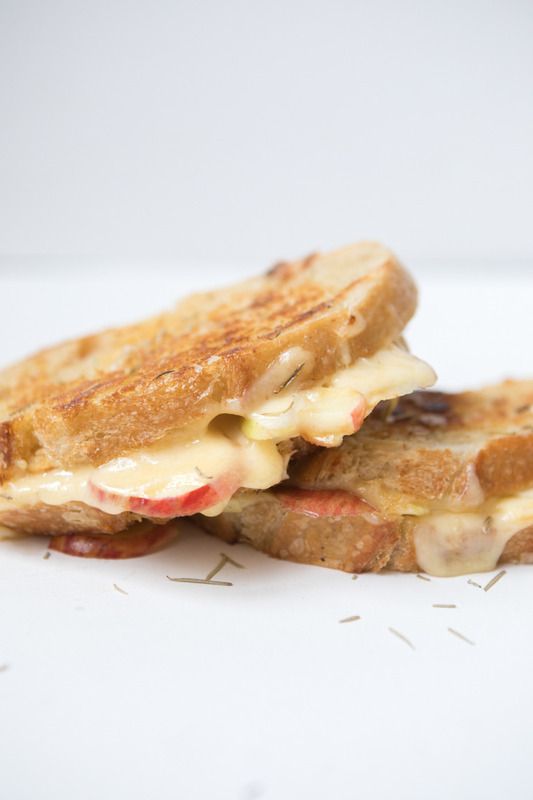 The perfect fall panini- Crispy sourdough bread with smokey gouda and crunchy apples topped with rosemary. Butter all four slices of bread. Sprinkle each with rosemary. Dice your apples into very thin slices or strips and shred your gouda cheese if need be. Heat a grill pan or skillet on medium/low and place the bread butter-side-down onto the pan just like you're making a grilled cheese. 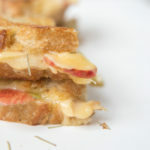 Top with a layer of gouda, the thin apple pieces and then top with more gouda. Add the other piece of bread face up and flip the panini until both sides are golden brown and the cheese has melted through. If you don't like the crunchiness of the apples in your panini, simply grill the apples in the pan for a few minutes before you start making the panini. They will soften-up and blend in with the gooey cheese more inside if you do this.